In April 1889, Charles and Myrtle Fillmore started a magazine. It was their first step in faith to founding what we know as the Unity movement and we generally recognize their step in faith as the date Unity began. 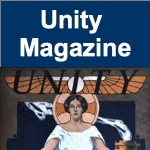 So it is that a mission of TruthUnity is enabling the entire world to freely read and use the first seventy or so years of Unity magazine (before it was copyrighted). This is the landing page for that goal. To the right (or at the bottom if you're using a mobile device) is a grid with links to over 250 issues of Unity from roughly 1895 through 1920. Not all the issues are there, but most are. The issues we have are shown as live links. The live links that are highlighted in yellow have had their article titles categorized so that the topics will turn-up in an Internet search. Some of the articles themselves are full-text digitized so that the content of those articles will also show-up. Click around and explore. You will find some very interesting articles. I've listed some of my favorites just below the links; I hope you like them too. Email me to tell me about the special things that you find; I will do my best to get your favorite article digitized and placed on its own page so that it gets noticed by others. It may take a while, but we will eventually see all the freely available issues listed here, fully digitized, so that a Google search returns links to things Unity wrote about over 100 years ago. Getting these issues digitized and searchable by Google is one way the Unity movement will serve in our digital world. What we have here is a good start. By helping to collect, digitize and disseminate these issues we will enable the entire world to freely hear once again the voice of Charles, Myrtle and their talented team of metaphysical writers.